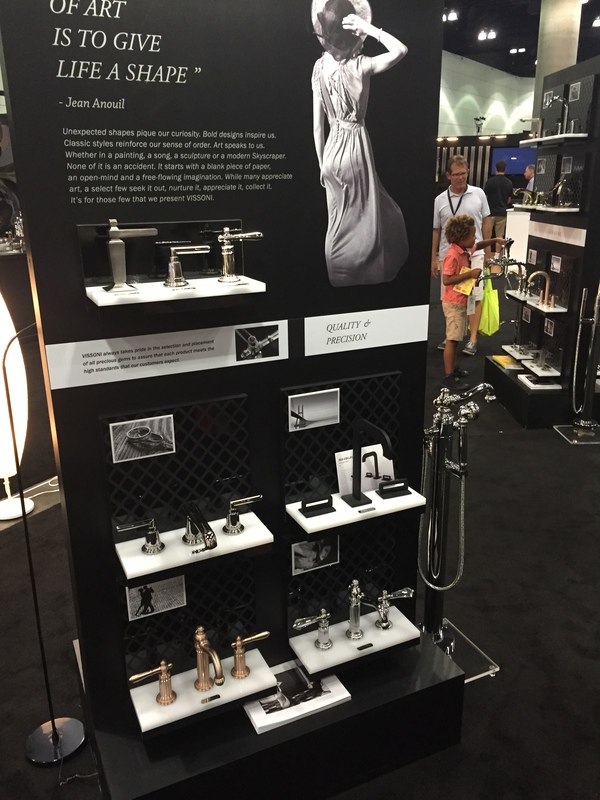 International Bath and Tile visited Dwell on Design at the LA convention center. IBT was represented by Clive Moch – President. 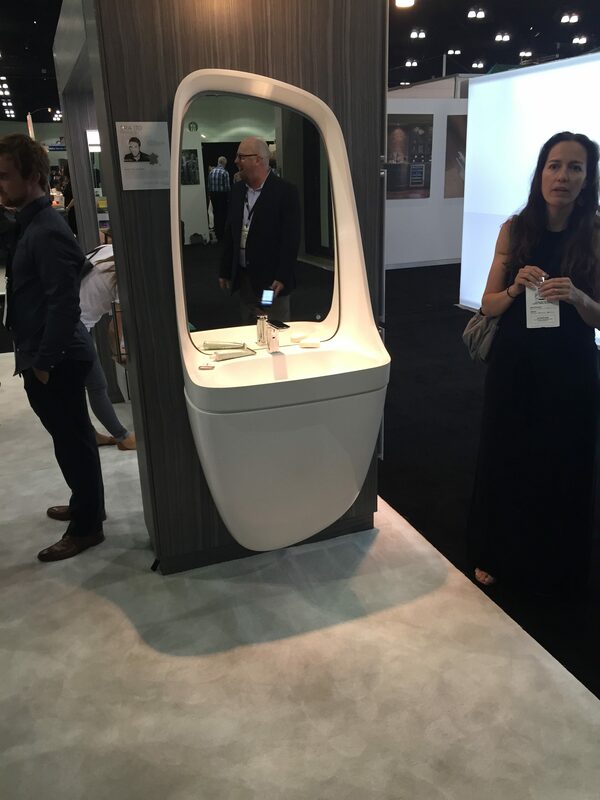 The show is attended by primarily architects, designers, contractors as well as the public. 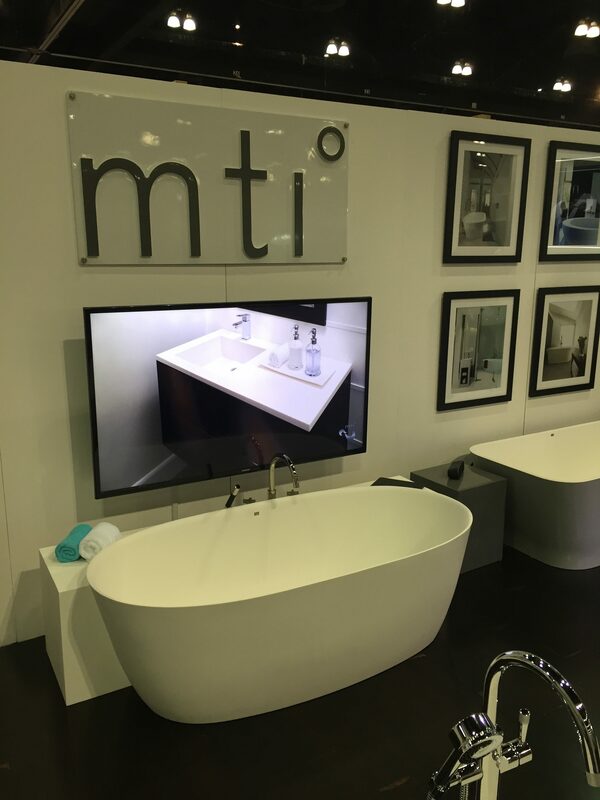 MTI Tubs: MTI tubs and accessories, showed a new range of bath tubs, custom sinks, vanities, benches and wood encased bath tubs, including free standing bath tubs. Finishes included both glossy and Matt white. MTI effortlessly manages to serve both form and function, creating exciting fixtures that will last for years to come. MTI seeks new ways to apply its areas of expertise to different areas of life, providing its customers with products that promote wellness, save time and offer convenience. MTI is driven to stay on the cutting edge of technology and go beyond the confines of the conventional. Sig nature series by Ronbow: Were very well represented, their booth was very well attended as this show was a new launching of their designer series of sinks, mirrors and vanities. Their porcelain white sinks are designed by well known designers including: Danelonme Roni from the United Kingdom. Pinin Farina from Italy – famous for designing Ferrari cars. Maheo Thun from Italy, Antonio Rodriguez also from Italy, Phoenix Design from Germany, Kurz Kurz Design for Germany, Ora Ito from France and Raymon Esteve from Spain. Nati ve Trails: IBT is a huge fan of Native Trails, they have progressed rapidly with very interesting and unique products, for which IBT is always on the look out! 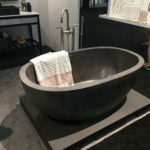 They make natural concrete looking Freestanding Bath Tubs, vanities with metal oil rubbed bronze frames inserted with White Carrera marble with a matching metal framed mirror and a concrete Freestanding sink. Also new to the line were copper metal Freestanding vessel sinks, as well as concrete vessel baths and kitchen sinks. The new direction Native Trails has moved to is tables made of copper with wooden feet. Also in their furniture line Native Trails introduced a table with a concrete top inserted into a wooden frame. A jewel among the many show stoppers was a fabulous new line Vissoni. A relatively new brand with a very interesting collection of very ornate Jewel studded faucets with lots of crystal and engraving. Finishes include Polished Gold, Polished Nickel, Polished Chrome, brushed Nickel and a new finish called Rose Gold. The styles go from very ornate to sleek contemporary and pricing reflects its workmanship. Vissoni are bringing back a European era and reintroducing to the US market. 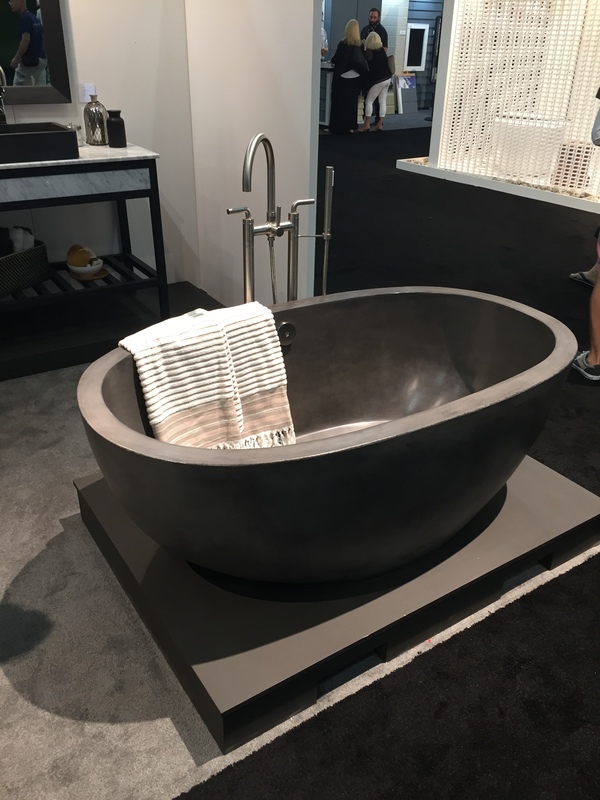 Attending shows such as Dwell on Design ensures that International Bath and Tile remains on the cutting edge of what is new in the market place. We were excited by what we saw and look forward to installing the new displays picked up at the show.